Will a Botched Coast Guard Contract Come Back to Bite James Comey? As general counsel of Lockheed Martin, Comey rejected a whistleblower’s claim that a $24 billion Coast Guard project was riddled with problems. The whistleblower was right—and Comey was wrong. When the ten Democrats and eight Republicans on the Senate Judiciary Committee questioned James Comey in his hearing on July 9 for confirmation as director of the FBI, the words “Lockheed Martin,” where Comey was general counsel and senior vice president between 2005 and 2010, were mentioned only twice. The first was when Chairman Patrick Leahy reviewed his career highlights. The second was when Senator Chuck Grassley noted that the FBI had cancelled Lockheed’s contract to build its next-generation case-management system for their poor performance and asked if Comey had any involvement the case. “None,” Comey replied. And that was that. The committee then unanimously voted to send his nomination on to the full Senate. Had the feckless solons the wit to ask the right questions about Comey’s role in another disastrous Lockheed contract, they might have concluded he isn’t fit for federal office at all. That letter was signed by Lockheed’s senior vice president and general counsel, James Comey [PDF]. But Comey’s claim in the letter was remarkable, given that the Coast Guard had already pulled the first eight of the completed ships from service because of their buckled hulls. In April 2007, the commandant of the Coast Guard, according to Corporate Counsel magazine, “tacitly acknowledged mistakes by reorganizing the program,” reverting management of Deepwater directly to the Coast Guard and taking it away from Integrated Coast Guard Systems. 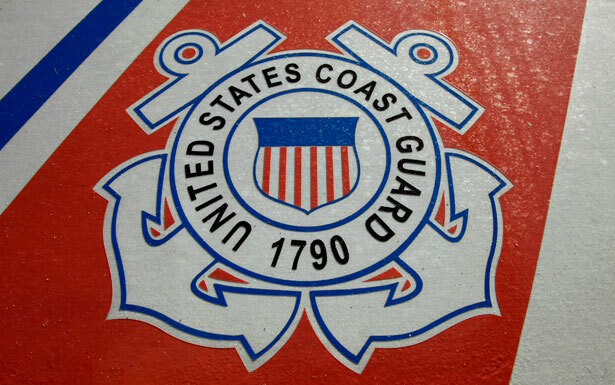 Then, eleven months after Comey’s claim that all was hunky-dory, the Coast Guard delivered a formal “revocation of acceptance” to ICGS for the eight vessels, citing many of the problems DeKort specified. This calls into question all sorts of things in Comey’s letter to DeKort. How could “each issue” have been “resolved to the satisfaction of the Coast Guard customer” if, as we now know, just ten months later management of the program would be revoked from Lockheed? How satisfying could the resolution have been if, within a year, the boats were rejected? And why then was The New York Times reporting in September of 2007 that internal Coast Guard documents showed “hundreds of deficiencies” in similar electronics equipment installed by Lockheed in the 418-foot flagship vessel of the Deepwater project? And here is a bigger question: Does a man deserve to be the nation’s chief law enforcement officer when, these documents suggest, his job included either (depending on how you look at it) flacking for or lying on behalf of the federal government’s largest contractor, which bills Uncle Sam for over $38 billion every year? The Senate Judiciary Committee, apparently, does not care. Meanwhile, Lockheed’s treatment of DeKort may make mincemeat of one of the most publicized pledges of Comey before the committee: that he would not retaliate against whistleblowers, since they are “a critical element” of a democracy. Under a law known as the False Claims Act, citizens may sue companies on behalf of the government if they falsely bill the government. DeKort took out such a suit in 2009. His complaint against Lockheed was settled under undisclosed terms late in 2010—by which time the Coast Guard was seeking a refund of the $96 million they had paid for the eight ships. DeKort might have saved his bosses that headache, had they chosen to listen to him. Instead, they vigorously contested his lawsuit’s claims. Also in that suit, Dekort claimed he was a victim of retaliation on the job, seeking damages of $720 million along with civil penalties, legal costs and other relief. “You’re doing the right thing,” he reported his manager telling him in April 2004, according to Corporate Counsel magazine, when he suddenly got a performance evaluation significantly worse than previous ones, “but it’s going to come back to bite you.” It did: he henceforth got much worse job assignments. Such retaliation would directly contradict an ethics program Lockheed had initiated to much praise in corporate circles—one in which managers like DeKort were specifically trained to file just the sort of internal complaints that he did in 2004, to no avail. Michael DeKort left Lockheed in August in 2006 and had to take a job in an unrelated industry; he told Corporate Counsel he can no longer get one in defense. And a company statement on the False Claims settlement claimed that Lockheed Martin “continues to meet delivery and performance milestones under our remaining Deepwater task orders, and we are prepared to support the U.S. Coast Guard in its critical national security missions.” I wonder if James Comey helped write that. I wonder what he would have to say about Michael DeKort’s travails. I guess we’ll never know—unless some senator finally decides to do his or her job.